Hi! My name is Willie. 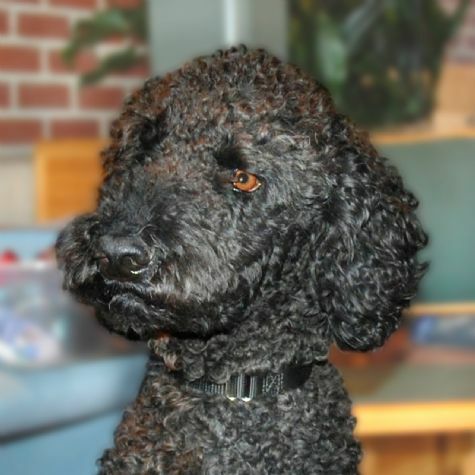 I am a black Standard Poodle. I am quiet, loving, and occasionally playful. My favorite activities are trying to chase squirrels up trees and playing fetch with tennis balls. When I was 7 months old, I was found on the streets abandoned. But my mom rescued me! I am now a therapy dog, and I love my job. So remember�if you play fetch with me (bring your tennis ball), I will be your best friend!